The last post (on the pay gap in e-Learning) was a bit of a digression in terms of topics for this blog, but it kind of wasn’t at the same time. I don’t usually get into industry stuff, but I also think that the gender pay gap is an interesting topic from a learning point of view. The reason I say that: it’s a complicated, messy issue, and sometimes we have to create learning experiences for complicated, messy issues. I frequently hear from clients that they really want to teach people good, critical, decision-making skills. My heart always sinks a little when they say that, because critical thinking and decision-making are definitely skills developed over a long period of time, and not really something in which you can make a huge dent during a 2-hr e-Learning course. If you are going to create a learning experience for something that is complicated and messy, it would probably be helpful to understand what exactly is making it complicated and messy. 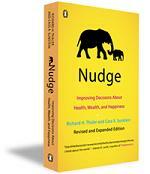 One of the most useful things I’ve read on this is the discussion of fraught choices in the book Nudge by Richard Thaler and Cass Sunstein. In the book, they discuss fraught choices – basically situations where people are least likely to be able to make good choices. Thaler and Sunstein argue (for the most part rightly) that these choices are likely candidates for choice architecture, but more on that later. One of the book’s examples of a fraught decision is saving for retirement – you have costs now, but don’t see the benefits for years or decades, it’s very difficult to determine what the right amount really will be, and also difficult to wade through all the fund options, tax laws and retirement plans that make little or no sense to the lay person, you probably only make these decisions once a year or so, while you do get feedback in the form of account statements, it’s difficult to interpret that feedback (“Did the account go up because of something I did, or is it just the state of the market?”), and unless you are a professional or a retirement account wonk, you aren’t like to have innate likes or dislikes to guide you (“You know, I just really like the feel of no-load mutual funds.”). By contrast, an unfraught decision might be buying a sweater. You buy a sweater, and get the benefit immediately. In most cases it’s not a particularly difficult task (Go to store, decide you like the blue one, buy it). You buy clothing fairly often — far more often than you choose retirement options. You get pretty immediate feedback (“Why yes, this *is* a new sweater” or “Damn, this is itchy” or “What was I thinking?”), and you are likely to have innate preferences that require little cognitive load to manage (Appliqué Teddy Bears = No). So, let’s go back to our salary negotiation example. Time lag between benefits and costs – Some of the benefits/costs happen immediately, but much of both those benefits and costs will follow you for years in your career. Degree of difficulty – it’s very difficult to determine what to ask for — there are all the variables of the field, your qualifications, the position itself, the employer’s situation. Frequency – Unless you are changing jobs a LOT, you do not do this frequently (I’ve only done it twice in the last ten years). Feedback – knowing what you should ask is like the Price is Right game — get as close as you can without going over, and you pretty much never get precise feedback (“You know, we’re glad to have you on board! And, by the way, you could have gotten another four grand and an extra week’s vacation if you’d pushed a little bit more!”). Knowing what you like – You think you know what you like (“More!“), but it’s more complicated than that. So, what are the implications for the design of instruction? Thaler and Sunstein’s book isn’t about learning design — they talk about choice architecture. For fraught decisions, how can you structure the choice (the options and defaults) so that people can make the best possible decisions? Quite frankly, I would love to hear their ideas about choice architecture to address the gender pay gap. Time lag between benefits and costs – this one is tough, because there’s a lot of wiring that works against us. While one of the human brain’s killer apps is specifically the ability to defer a benefit now for later gain, we still aren’t all that good at it (see this and this and this). Instructional Solutions: If you really want people to consider the now vs. later, you need instruction that speaks to the affective self (e.g. storytelling with emotional impact or scenarios with consequences), or tools that help them envision that future state (e.g. projection or modeling tools or simulations). Degree of difficulty – I think this the only one of the characteristics that standard instructional design addresses at all well. Instructional Solutions: There are a lot of options (helping people create mental models, breaking content down into manageable chunks, job aids, etc. ), but one good resource is Jeroen van Merrienboer’s book on Complex Learning which goes into great detail on this topic. Frequency – lack of frequency means that real-world trial and error learning is pretty much out, but you can put it into your learning design. Instructional Solutions: Practice. Lots of practice. Multiple practice scenarios with as much context as you can possibly muster. You also want to consider distributing some of that practice over time (see the Spacing Implementation Quick-Audit available here). Feedback – in a lot of situations, the difficulty with this one isn’t actually designing instruction for it — you can create scenarios with real-world consequences pretty easily. The difficulty here can be ensuring that your data is good — empirically speaking, are these actually the consequences people will encounter in the real world? The temptation here is to design to the ideal solution – this is how you want the outcome to happen. But can you back those outcomes up through research or observation of high performers? Instructional Solutions: Get real data about the consequences whenever possible, and use it to inform the content and design of your learning scenarios. Knowing what you like – When a topic is too esoteric for there to be an innate pull in one direction or the other, how can you help people develop helpful instincts or preferences? You might ask why it matters, but well-informed liking and preference can be very useful shortcuts in fraught decision-making. Instructional Solutions: There are a number of ways to help people develop a sense of preference, such as exposure to lots and lots of examples or embedding the information in stories. Also, decision-making job aids can act as a stand-in shortcut when preference is absent. So, think about our salary negotiations training — how would you design training for that fraught decision*? How would you approach it? Which of the solutions above would be most helpful? What else can you think of that I’ve missed? Nothing above is revolutionary in terms of training solutions, but if you’ve ever had difficulty selling a scenario or practice-based approach to a stakeholder, this might be a useful wedge for why those approaches are necessary if you want to teach those pesky critical thinking or decision-making skills. I’ve been thinking a lot lately about good matching of specific instructional techniques to specific challenges — I think that instructional design tends to wield it’s brush pretty broadly sometimes (“Scenario-based learning is good” is true a lot of times, but always? ), and that we need more critical-thinking about matching the tools to the solution, rather than matching the solution to the available tools (I really like where BJ Fogg is going with this in behavior change, btw). So, what experiences have you had with fraught choices? Any strategies you would like to add? Would love to hear from you in the comments below. 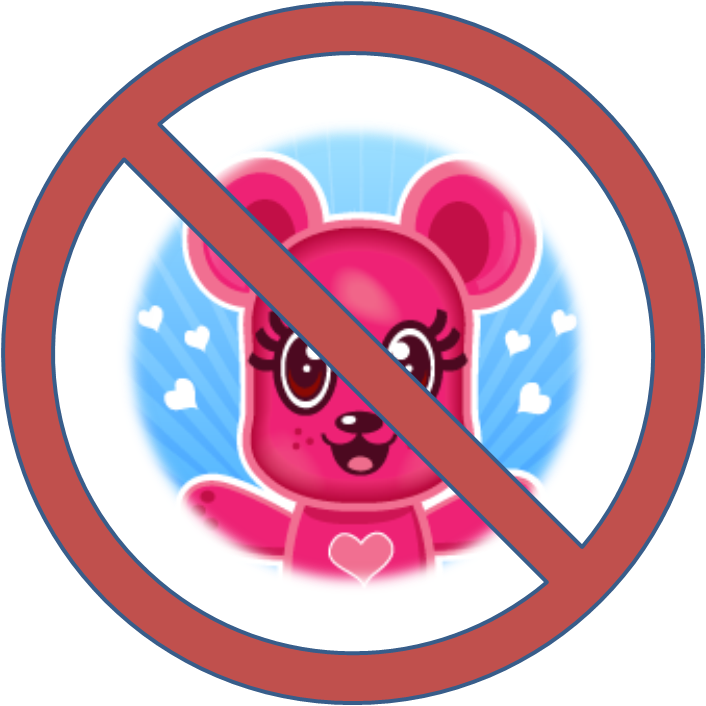 This entry was posted in Behavioral Economics, e-Learning, Education, Instructional Design and tagged Applique Teddy Bears = No, behavioral Economics, Choice Architecture, fraught choices, Nudge, targeting instructional design solutions by jdirksen. Bookmark the permalink. There is much to think about here, so I’m still letting it sink in, but at the least, this post has prompted me to pull Nudge off my shelf and finally read it. You’ve got me musing about the factors in salary negotiation (so as to figure out what to include in the training). I’d like to have options to ask peers or do some research, though for realism you might need to have misinformed peers and examples with little or unreliable research results. Complicating things too much, you might also want a good-skill effort that doesn’t produce the desired outcome (a raise) since that happens here on earth occasionally. I once had a manager do my salary review, give me a satisfactory figure with congratulations — then call me back a few hours later because he or she had made a math error, and the real figure was 33% less. Salary negotiation is a tightly bundled knot of learning objectives (have I given you my Prototype Theory of LOs yets?) which can only be separated/distilled using gas chromatography ie ethnographic gossiping sessions to generate narrative fragments. Repetition and practice. I did a parachute jump and it was the most boring weekend of my entire life – jumping off high table and shouting out set commands. They knew what they were doing, though. I carried out all the instructions perfectly even though I was scared witless. Hmm, actually it’s pretty simple. You just have to minimise the effects of all that makes it fraught, no? There’s no logical reason why a salary negotiation can’t be done asynchronously, is there? There must some useful anti-cog bias tools (all those viz think tools and analytical tools that make stuff ‘open and accessible’) to use as templates for putting together a ‘bid’ for an increase. And these work well with worked examples. Aha! I see you’ve just tweeted my post on this subject, so I’ll finish. Behaviour Change and Fraught Decisions are all about changing/adapting the system.